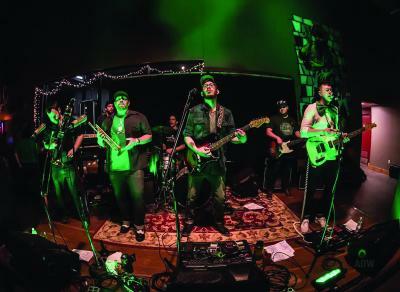 If you dig big bands and good-time party vibes, you may want to head to the King's Rook to sample some of what Personal Blend and their friends are serving up at their late-February show in the Gem City. It's the Rochester, N.Y.-based septet's welcome-back to the Rook, where they'll be joined by openers and other Rochester-area regulars Eli Flynn and Adrien D'Angelo. The Blend's seven members are sure to be ready to throw down more of their very danceable, heavily reggae-infused rock, which they've been blasting out at appearances throughout New York and around the region, as well as tour-stops in the Midwest since the releases of their LP Skin Deep in summer 2016 and a subsequent EP, Ride, in late 2017.